Prior to being elected as the Executive Governor of the State, Alhaji Abubakar Bello had established himself as an accomplished entrepreneur, following the footprints of his father, retired Colonel Sani Bello, a military administrator and founder of successful business conglomerates. 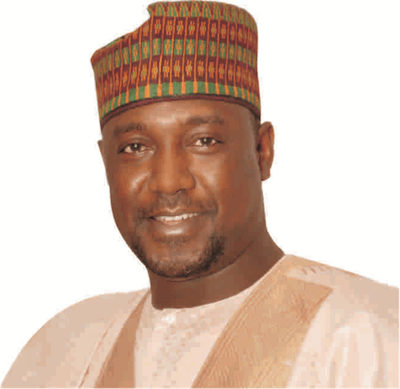 Born on December 17, 1967 in Kontagora, Niger State, He attended St. Louis Primary School in Kano from 1974 to 1979. On completing his primary education, he proceeded to the Nigeria Military School, Zaria, in 1980, earning a General Certificate of Education (SSCE/GCE) in 1985. His pursuits of a place and mark in Nigeria’s competitive private sector in which his family had long established a reputation began immediately. Exploring his first post-school opportunities at the shipping department of Offshores Pipelines International (OPI), he gathered an entrepreneurial momentum for diversified ventures in non-Oil sectors. Examples include, establishing a presence in banking and finance, aviation, telecommunication, travel and healthcare management services. Alhaji Abubakar adapted to these tasking responsibilities relatively quickly, having already been used to a role that’s already a family tradition, polished by an academic background in a discipline that had broadened and developed his managerial perspicacity. Alhaji Abubakar Bello has served in different top-management capacities. Having gained immense experience over the years, he has built an enviable track record from 1994 to 2009. In 2009 he took a break from the private sector to replicate his achievements in his home State, following his appointment as a Commissioner for the Ministry of Investment, and Commerce & Cooperative by Governor Mu’azu Babangida Aliyu. He left after just a year in office. Appointments to date have included: Alternate Director​ at Broad Bank​​ (1994 – 2000); Board Member, ​Broad Bank ​(2000–2005); Alternate Director, ​MTN​ Nigeria (2000 – Aug 2009); Chairman/CEO, Millennium Travels & Tours ​​(2000 – Aug 2009); Director, Dornier Aviation Nig. AIEP (DANA)​​(Jan 2007 – Aug 2007); Chairman/CEO, Millennium Air (​​2002 – Aug 2009); Chairman/CEO, Heritage Hospitality Services Ltd. (Jan 2004 – Aug 2009); Chairman, Prudent Healthcare Management Ltd. (​​February 2008 – August 2009); and Director, Investment Centre Ltd. (ICL)​ (​2007 – 2009). Alhaji Abubakar Bello has also served on many boards; specifically, Member, Broad Credit Commerce (Broad Bank); Member, Broad Establishment Committee ​Broad Bank; Member, Interim Management Committee, DANA; Member, Sub-Committee on Facilities and Infrastructure for Proposed Minna Multipurpose Sports Complex, Niger State Government; Member, Committee on former President Resource Legacy Centre, Niger State Government; Member, Federal University of Technology Board of Trustees, FUT Minna. His Gubernatorial ambition, with its promise of restoring a new order of governance in Niger State earned massive support and commendations across the state, from both the youth and the old. Alhaji Abubakar Bello is married to Dr. Amina Abubakar Bello, a Consultant Gynaecologist currently working with the Barau Dikko Specialist Hospital in Kaduna, and they have three children: Muhammad, Abdulsalam and Maryam.